Each generation of mankind has been exposed to a higher amount of pollutant than its predecessor and today, we stand at the zenith of it. The air we breathe, the food we eat, the water we drink are all polluted with harmful chemicals and toxins. 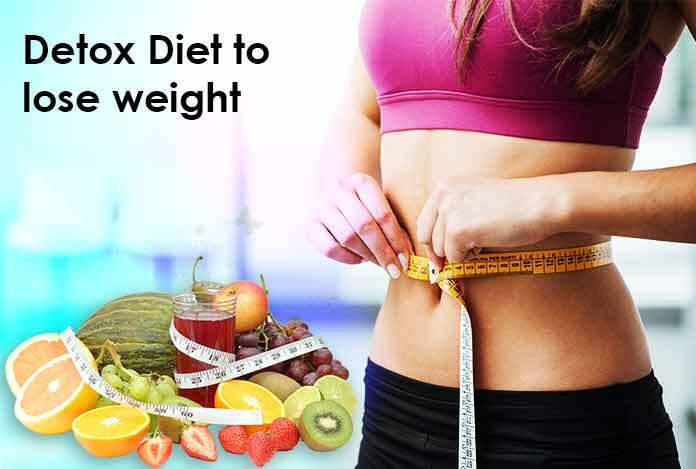 People are turning away from healthier option of foods such fruits and vegetables to more unhealthy versions such as processed foods and the infamous fast foods which increase the quantity of junk in our bodies. The fast-paced lifestyle has increased stress in the daily life of people and to combat it, people are turning towards alcohol and recreational drugs. Advancements in pharmaceutical science have made pills and tablets more accessible for people, increasing the load on liver to metabolize it. All these factors, when combined, are rendering our immune system weak and fragile, making it more likely for us to fall sick. To protect us from the harmful effects of environmental pollutants, nature has gifted us with self-regulatory mechanisms such as detox drinks which help in getting rid of these pollutants and making our systems clean. The main organs involved in detoxification are liver, kidneys, intestines, lungs, skin and the lymphatic system. A healthy body is able to remove the toxins successfully on its own. However, when the concentration of toxins crosses the permissible limits, it starts to accumulate in fat cells and connective tissues. This leads to sickness and causes various imbalances. To help the body perform the quintessential task of detoxification, mother nature has blessed us with a plethora of superfoods and detox drinks that promote healthy skin, delay aging and help us lead a better life. Continue reading to know about 10 such drinks for detoxification. Approximately 70% of our body is made up of water, and it literally forms the river on which our good health flows. It helps in transporting nutrients to our cells, helps in digestion and expel away waste materials from the body. By consuming about 8 to 10 glasses of water a day, one can ensure better functioning of the kidneys and prevent accumulation of toxins. Lime is rich in vitamin C, antioxidants and citric acid. It has a fairly pleasant aroma; just enough to stimulate your salivary glands. It contains limonoids, which stimulate the liver to produce enzymes responsible for deactivating cancer-inducing toxins. Green tea acts as a popular detox drink and known for its richness in antioxidants. They help in trapping harmful radicals in the body that cause cell death or modify the DNA of cells, which leads to cancer. The power of water in detoxifying the body can be further enhanced by adding lemon juice to it. Lemons are rich in d-limonene, which possesses antioxidant and anti-inflammatory properties. Additionally, this compound helps in the dissolution of cholesterol. Oranges are rich in vitamins and minerals, such as vitamin C and calcium, and therefore, its juice is a wonderful detoxifier. It also helps in weight loss and the ‘beta-carotene’ present in it helps in protecting cells from getting damaged. Dandelions are known to possess innumerable properties that help in maintaining good health. It is rich in vitamin C and luteolin that together help the liver to function properly and slows down its aging. It also reduces the risk of developing cancer as luteolin is known to kill cancer cells. Drinking dandelion tea is also known to beneficial in diabetes, jaundice and other ailments of liver. It also helps in weight loss. Cranberry juice has been known to treat urinary tract infections for ages. Recently, it has also gained popularity as a detoxifying drink due to its richness in vitamin C, salicylic acid, vitamin B complex, vitamin E, vitamin K, manganese, zinc and antioxidants. Regular intake of cranberry juice helps you prevent the development and spread of lung cancer, colon cancer, prostate cancer and other cancerous tumors. Proanthocyanidins – a compound found in cranberry – help in preventing micro tumors from developing in the blood vascular system. Beetroot is reckoned to be a Great Purifier. It helps in expelling out toxins from intestines into your colon. It promotes the production of red cells, and improves stamina. Betanin — a pigment responsible for the red color of beetroot — along with polyphenols help protect bad cholesterol from getting oxidized and take care of your heart and blood vessels. It is also rich in fiber and minerals, such as manganese, iron, potassium and vitamin C and vitamin B. It purifies blood and helps in cleansing the liver. Smoothies can be easily prepared at home with fruits or vegetables. Fruits are rich in fibers, minerals and vitamins and make smoothies a perfect detoxifier. Some of the fruits that one can include in smoothies are kiwi, pear, blueberries, avocado, watermelon and so on. Similarly, vegetables like carrots, cucumber, celery are packed with a range of nutrients; thus, help promote good health. Green juice can be made with some of the healthiest green vegetables, such as kale, broccoli and spinach. They are laden with the goodness of vitamin C, minerals and nutrients.